Start your New Year’s Resolution off right! Join our 3rd annual Biggest Loser Town Contest! You and your fellow residents are on a mission to get fit! 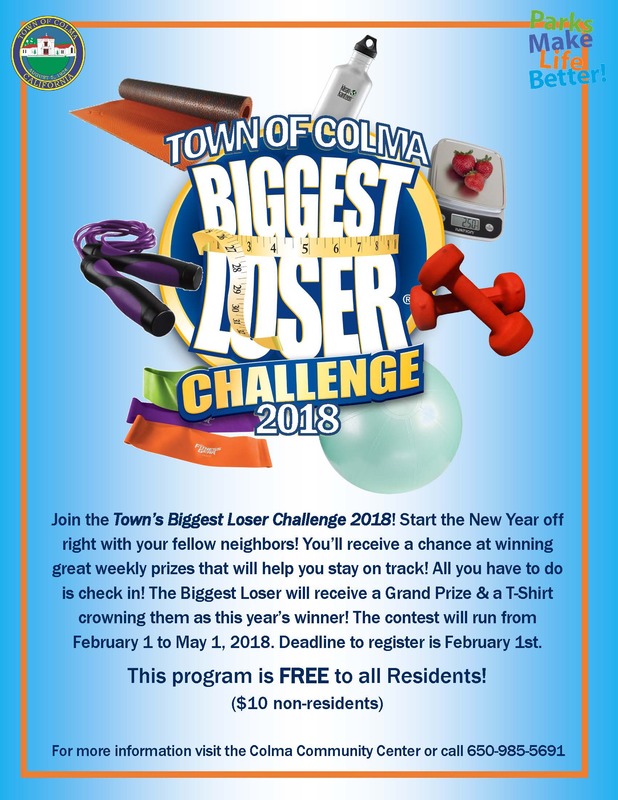 The Town of Colma will be awarding a Grand Prize to the top losing participant! There will also be weekly prizes! To participate in the contest you must weigh-in at the Colma Community Center by February 1st. This contest is FREE to residents and only $10 for non-residents! Join now for your chance to win great prizes! For more information visit our website or contact us at 650-985-5678.